This is from my personal collection. 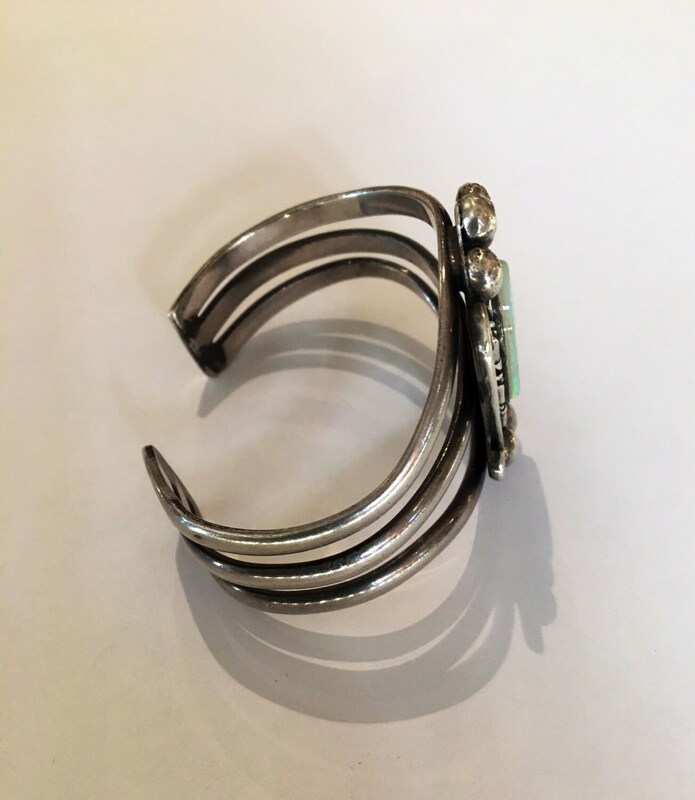 This bracelet was made for me in the late 70s. 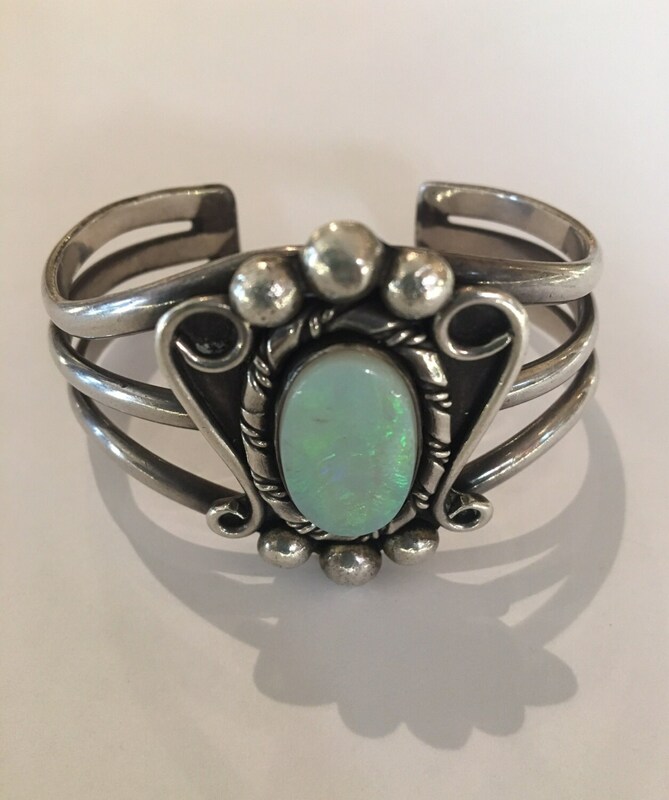 The opal is amazing. Clear with no cracks or any issues. 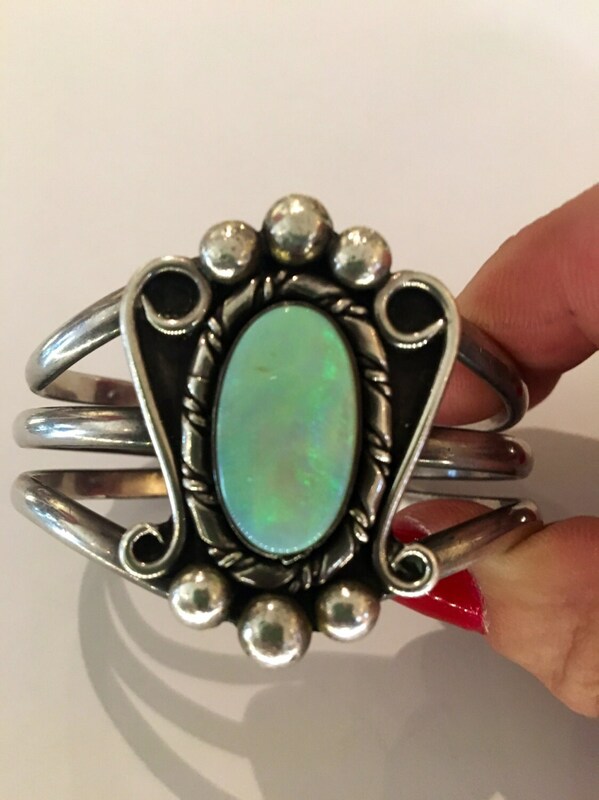 I was told by a jeweler that it is a "double" and an incredibly beautiful opal. The silver is clean with no scratches or dents. 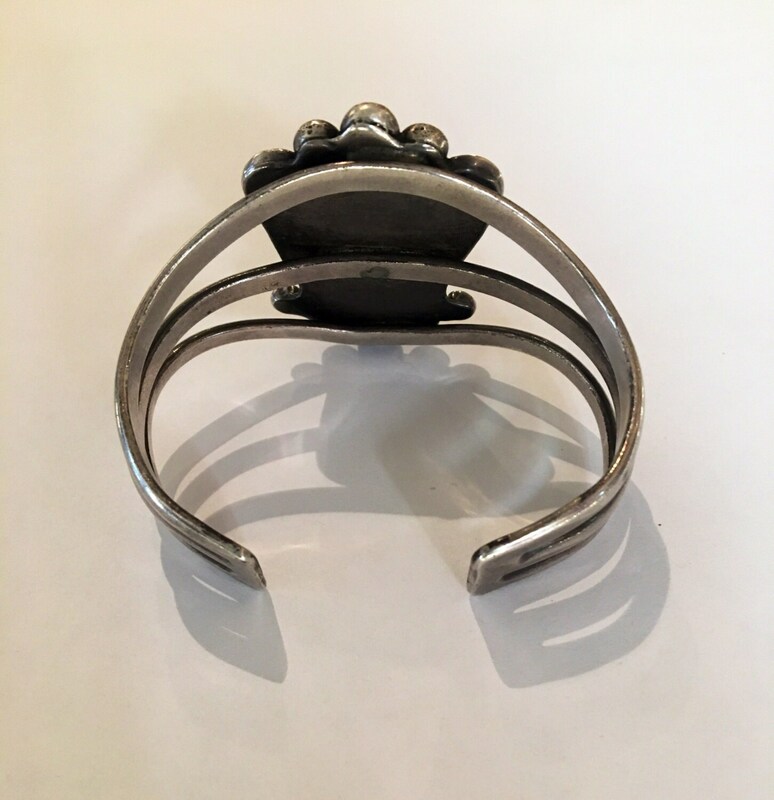 This piece was made for me in the 70s and I never wore it. I am rating this piece as being in EXCELLENT condition! 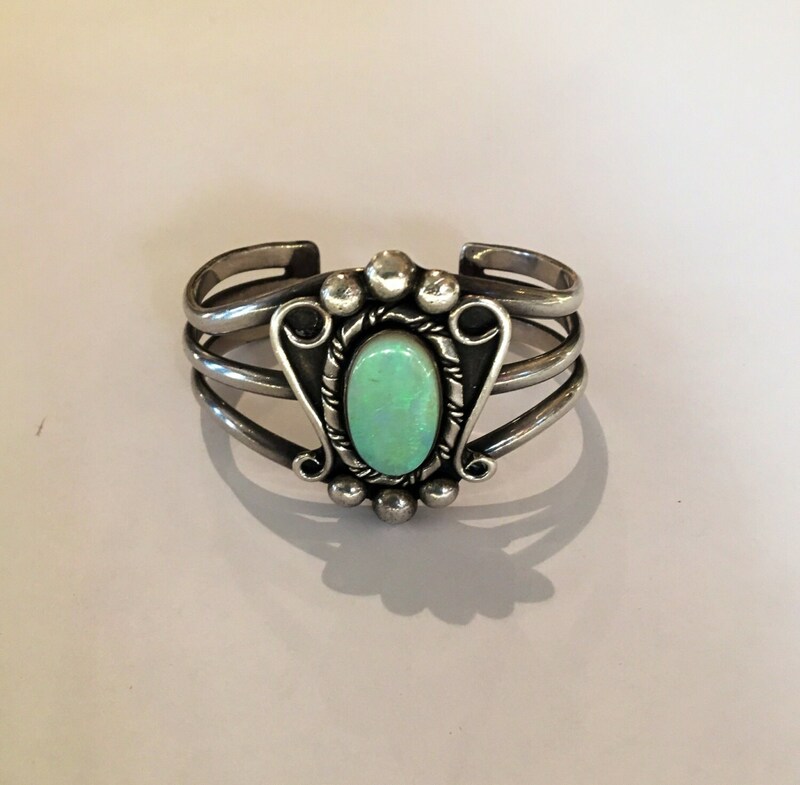 The opal width is .5"
The cuff is 6" around but can be adjusted.